“Abuse of prisoners, escapes, prison violence including prisoner-on-prisoner, prisoner-on-guard and vice versa, restricted and malfeasant health care, providing rotten food, and other prison management problems are characteristic of the private prison industry,” writes sociologist Margaret Rosenthal in “The Long Term View,” a journal published by the Massachusetts School of Law at Andover. Rosenthal is Professor Emerita, School of Social Work, Salem State College, Mass. “Spurred by criminal laws that impose needlessly steep sentences---especially for low-level, non-violent offenders---and curtail rehabilitation opportunities, the United States today imprisons more people than any other nation in the world,” an ACLU news release states. “The crippling cost of incarcerating increasing numbers of Americans has saddled government budgets with rising debt and exacerbated the current fiscal crisis confronting states across the nation. Yet the two largest private prison companies alone obtained nearly $3 billion in revenue in 2010,” the ACLU statement said. It noted that Arizona is seeking to add 5,000 more private beds despite its own Auditor General’s finding that for-profit imprisonment may cost more than jailing them in public facilities. 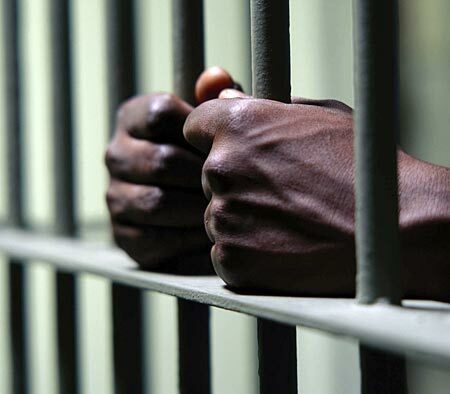 The ACLU report asserts that mass incarceration “wreaks havoc on communities by depriving individuals of their liberty, draining government resources and bringing little or no benefit to public safety.” The biggest losers in the privatization fiasco, apart from the taxpayers, are members of the Afro-American and Hispanic communities whose harsh sentences for minor crimes are filling many prison beds. Many marijuana prisoners are doing harder time than white collar criminals.